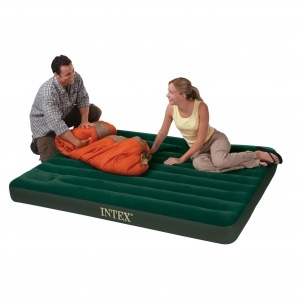 Intex 66929 – Intex Queen Size Downy Airbed with Built-in Foot Pump. This airbed has a flocked top to give a more luxurious sleeping surface. Its unique wave beam construction eliminates uncomfortable surface bumps and provides a flat, uniform sleeping surface. It can be inflated with either the built-in manual foot pump or a regular pump. - Quality tested 20.8 gauge waterproof flocked top with 14 gauge vinyl beams and 15 gauge bottom. 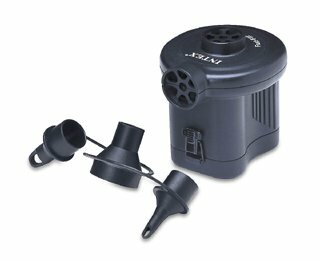 - Unique built-in bellow foot pump – no separate pump needed. 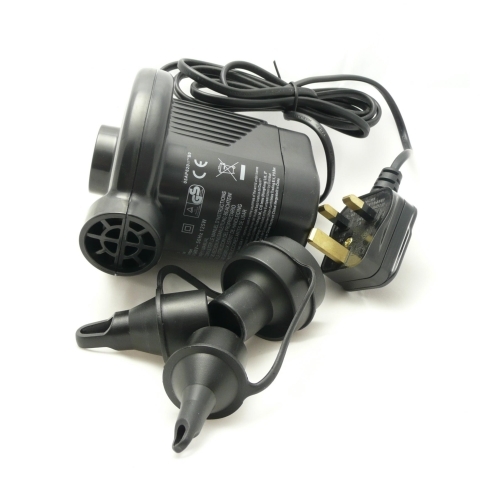 Just step down to inflate and the pump springs back automatically for the next cycle. 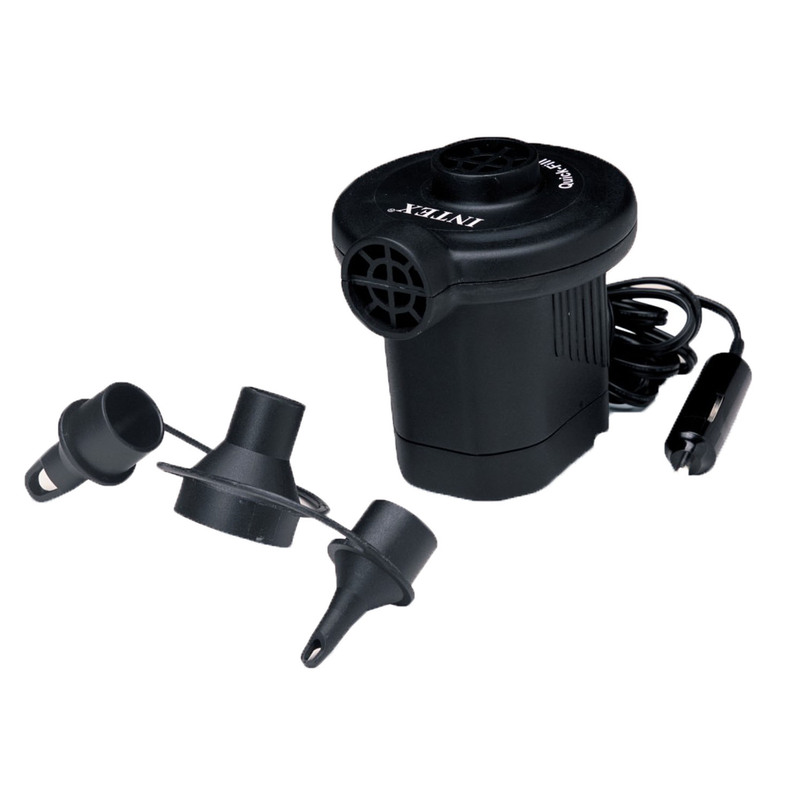 - 2-in-1 valve for inflating with optional electric or manual pumps. - Conventional queen mattress size for more sleeping area and a better fit for sheets. - 8 ¾” mattress thickness for extra soft comfort. 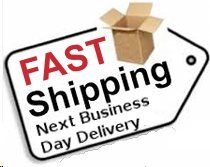 - Mattress approximate maximum dimensions 60” x 80” x 8 ¾”. - Weighs approximately 4.17 Kgs.